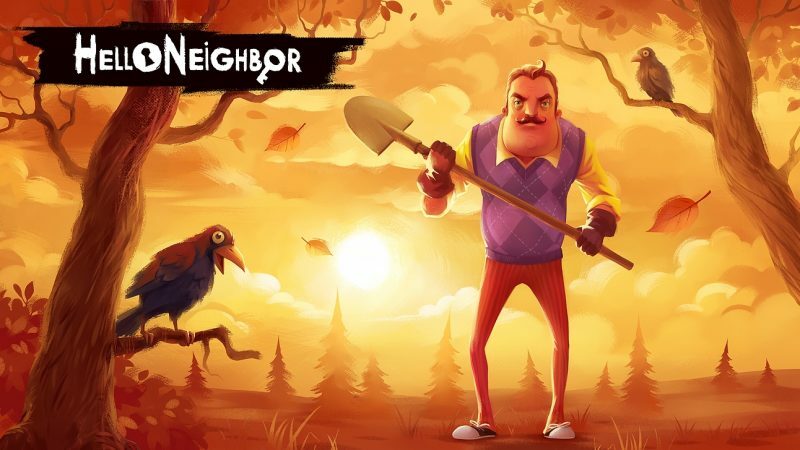 Hello Neighbor is a survival horror stealth game that in a nutshell consists in trying to break into your neighbor’s house in order to discover what mysterious creature lives in it. The game is developed by Dynamic Pixels, who first released the game as an alpha build back in 2015 in their own website. Two years later, the studio signed a deal with tinyBuild to finally publish the game. 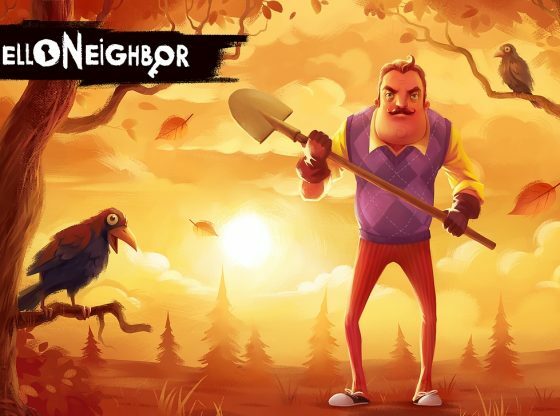 At last, on December 8th 2017, Hello Neighbor was officially launched exclusively for Xbox One and Microsoft Windows. Months later, the game was released for Nintendo Switch, Playstation 4, and mobile devices. Hello Neighbor has been generally received with mixed critics. 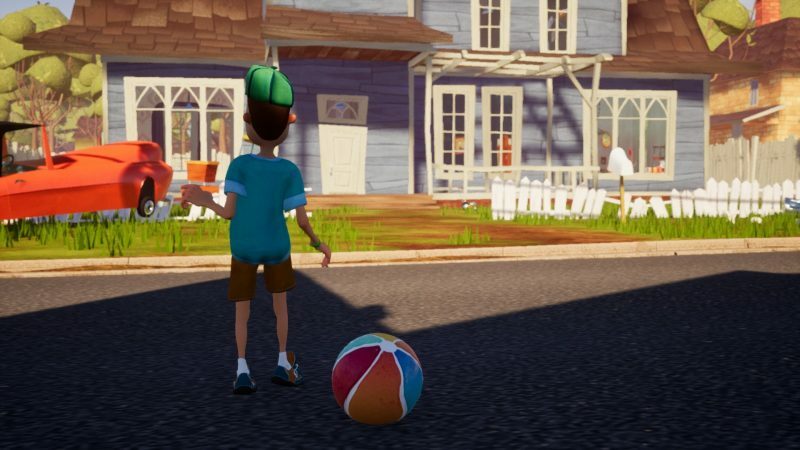 From the snippets that we first got from the teasers and trailers of the game, Hello Neighbor presented itself as a very promising prospect at the hands of an eye-catching premise: the player is a kid that starts out placidly playing with his ball in his suburban neighborhood, after which he stumbles upon his neighbor’s house by accident. Said neighbor is a middle-aged man with a very particular mustache and your typical middle-class, white man attire, a yellow shirt with an argyle golf vest and khaki pants. The action begins when the kid suddenly hears shrieks and disturbing noises so he decides to take a peek at his neighbor’s window. From there, he finds him struggling to close his basement door, where it is briefly seen some sort of creature trying to break free. After this, you are tasked to discover what terrible thing lays in your neighbor’s basement, with only your cunning, trickery and stealth as your first assets. Your nameless AI neighbor will keep tabs on all your movements and strategies, blocking the path in places you’ve previously been to. 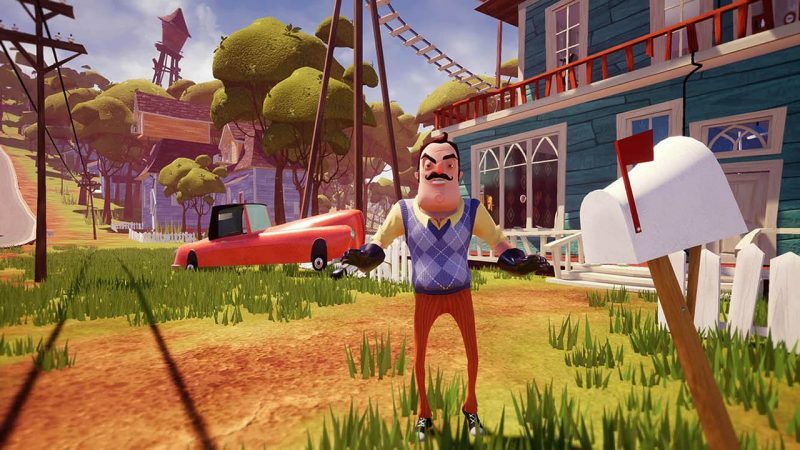 From the description above, Hello Neighbor does seem like a ambitious game, which coupled with the aesthetics presented: a pixar-ish, 1950’s retro design consisting of an eerie and colorful suburb, should have all the elements to be one certifiable creepy experience. However, the game fails spectacularly to deliver. 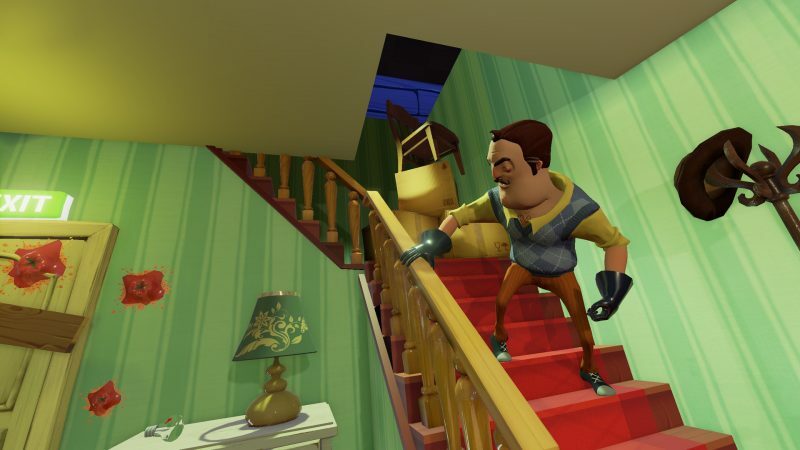 In the first place, even after undergoing quite a long alpha period, Hello Neighbor presents inconsistent FPS, freezing, and crashes; making the the gaming sluggish and not comfortable to play. Also, the neighbor’s behavior is largely inconsistent, sometimes even downright illogical, in that at random times he is extremely sensitive to your presence, even when you’re perfectly concealed, which leads to you being caught more than it’s advisable; and in others, only one extremity placed in an inch of a shadow can shield you from him, even if you’re practically in front of him. Adding to that, the puzzles that have to be solved in order to move forward with the game, are neither logical nor consistent, making them a tedious journey of trial and error that gets each time more and more illogical and combobulated. At this point it is almost a relief how often the player gets caught, which can give you a reprieve of all the craziness. And even then, a game that lets the player get caught so frequently, only allows for the tension to dull. 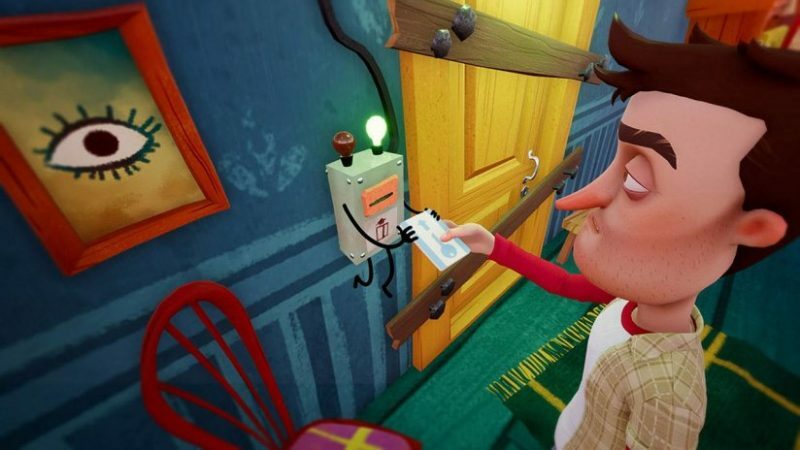 Hello Neighbor’s storyline divides into 3 acts. The first consists basically in the premise described below: You will have to manage to enter your neighbor’s house by all means possible, trying to outsmart him, an activity that relies heavily on the unpredictability of the game, so it probably will take a lot of tries. After much persistence, you finally get your hands in the keys of the basement, where you enter to find a makeshift underground dungeon. While trying to flee, you stumble upon the neighbor and get captured. Since you’re now a captor of your neighbor, the second act will consist in getting out of the house. A house that you later find is heavily surrounded by a massive fence that your neighbor erected. To get out of this house-prison the boy must go through some exhausting puzzles that with the time don’t seem to evolve with the game, or even to be compatible with the overall storyline. Additionally, while solving any of the puzzles, the game will present unwanted bugs, freezing, and floaty movement. Through acts 1 and 2 the kid will eventually get flashbacks of his neighbor, learning useful and terrifying things about the neighbor’s past life that can lead to what lurks behind closed doors. The third and final act is several years in the future when the kid is a now a full-grown adult that after being evicted from his condo, winds up returning to his old home. After a brief introduction, the man gets sucked in once again into his neighbor’s house, this time bigger and creepier than ever, with a giant version of the neighbor that he will have to face at the end. 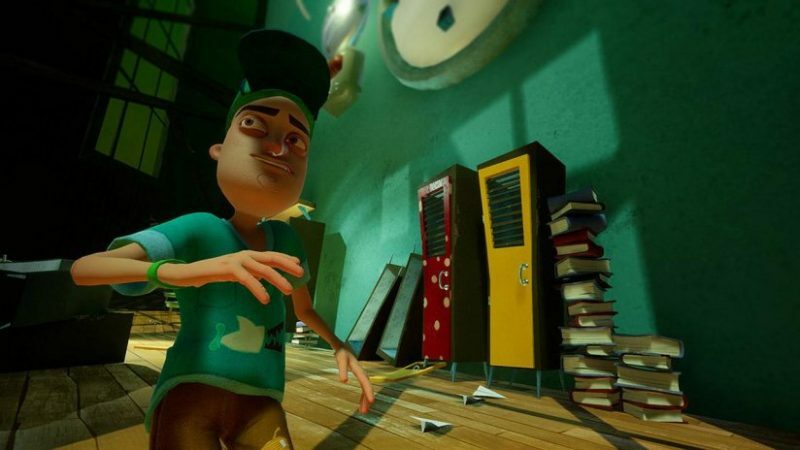 All in all, Hello Neighbor’s initial premise is eye-catching and promising, with a brilliant visual layout that brought forward some creepiness and chills to the mood. Unfortunately, the game severely lacks consistency and logical reasoning in its storytelling, much less so in its gameplay. However, it is definitely a great idea that could be later exploited into one marvellous game.